You are currently browsing the archives for the tag 'queen elizabeth II'. 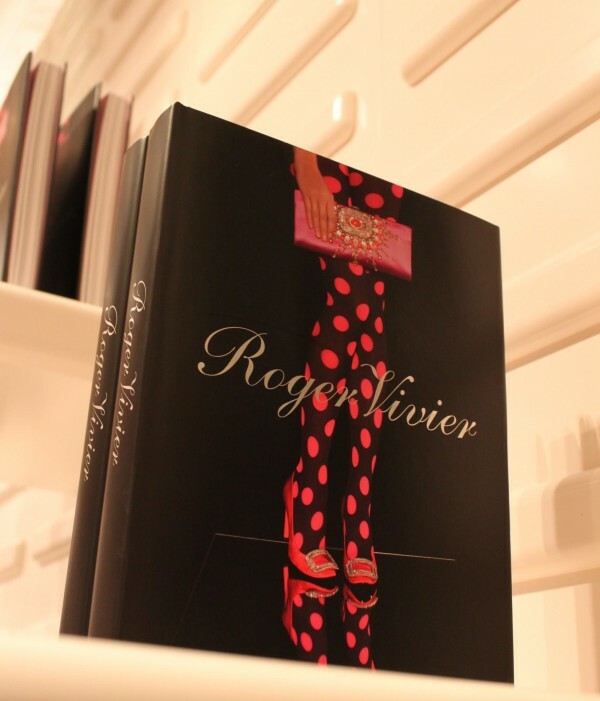 Monday, I attended during Paris Fashion Week the Roger Vivier Cocktail to celebrate the launch of the book ‘Roger Vivier’, held at the boutique on Rue du Faubourg Saint-Honoré. The tome will be available from April 2nd in the Roger Vivier boutiques and in fine bookstores. 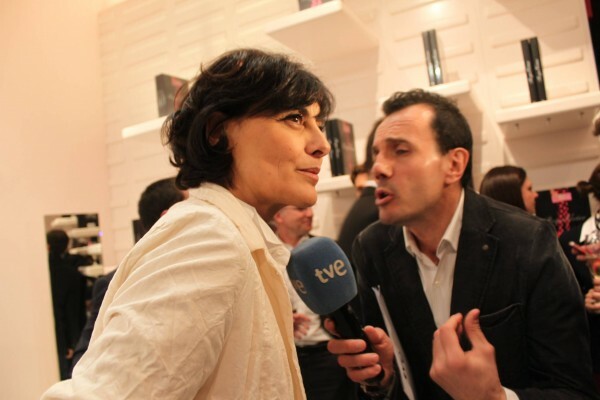 Among the guests was Inès de la Fressange (see photo with me above), a French model, aristocat, designer of fashion and perfumes, and former muse for Karl Lagerfeld (Inès walked in the Chanel S/S 2011 runway show at the age of 54.). 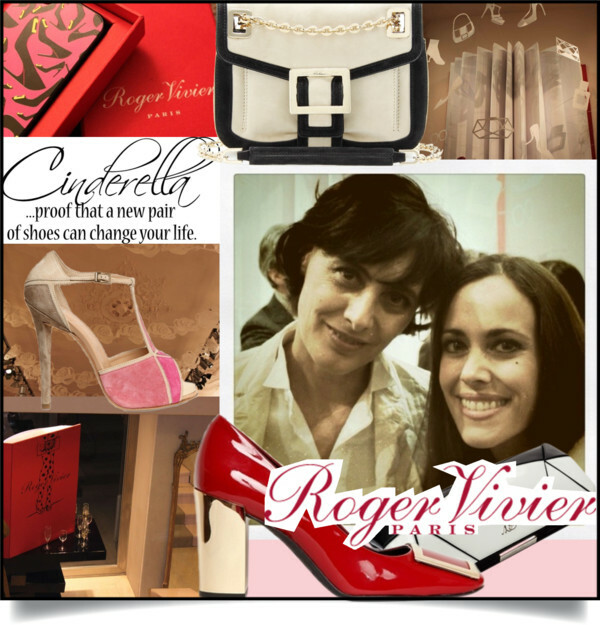 She has a very cute section on the Roger Vivier homepage, called “Ines’ Little Diaries”. Personally speaking, she looked absolutely stunning and was very lovely to talk to. 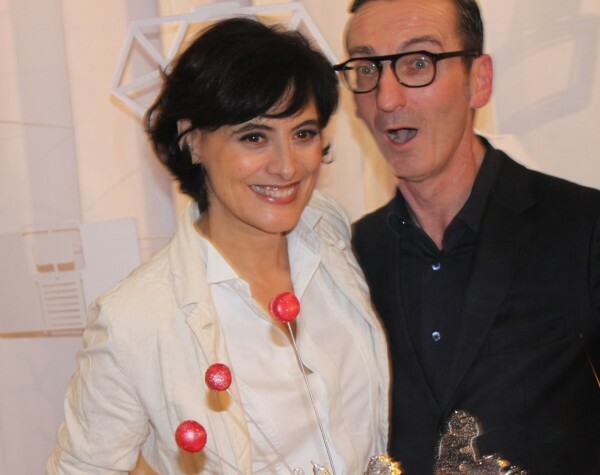 Today, designer Bruno Frisoni is at the helm of Roger Vivier. He’s one of the most charming designers in fashion and his witty humor can be seen perfectly in the picture I took of him at the event. He knows well how to design shoes in which ladies feel elegant. 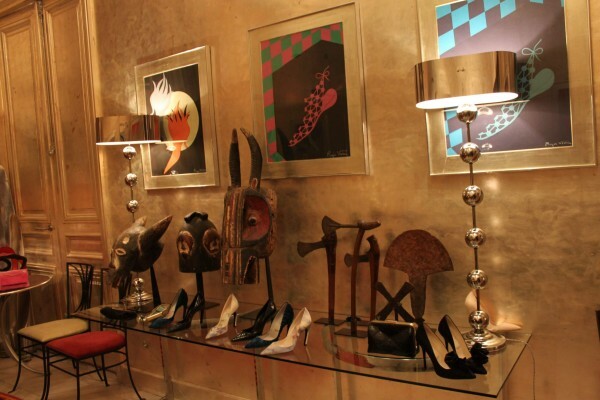 Roger Vivier himself (1907–1998) was a French fashion designer who specialized in shoes and became famous for his stiletto heel. He was called the “Fragonard of the shoe” and many critics compared his creations to Fabergé. He designed the footwear for Queen Elizabeth II that she wore to her coronation in 1953 and the famous “buckle” shoes, Catherine Deneuve sported in the iconic French movie “Belle de Jour”, together with Yves Saint Laurent clothing. 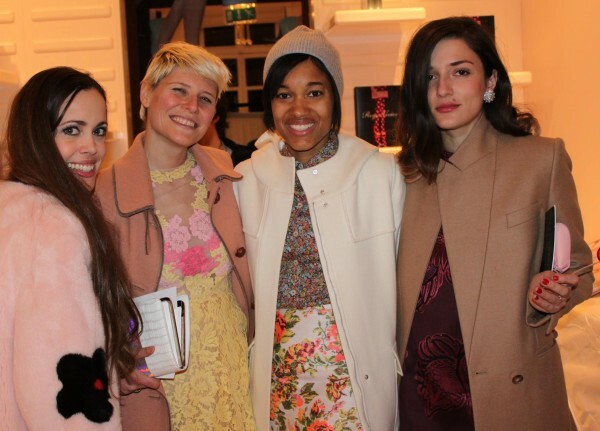 Blogger girls from left to right: Me, Elisa Nalin, Tamu McPherson and Eleonara Carisi. When we left the event, every guest got this cute little iPhone cover. 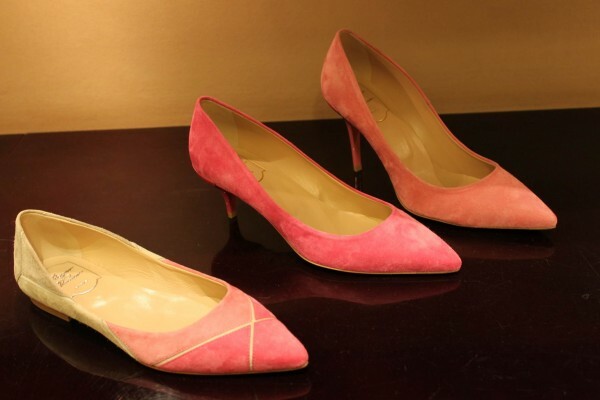 YOU CAN SHOP A LARGE SELECTION OF ROGER VIVIER AT LUISAVIAROMA AND MYTHERESA. 2012 marks the 60th anniversary of the accession of Queen Elizabeth II. 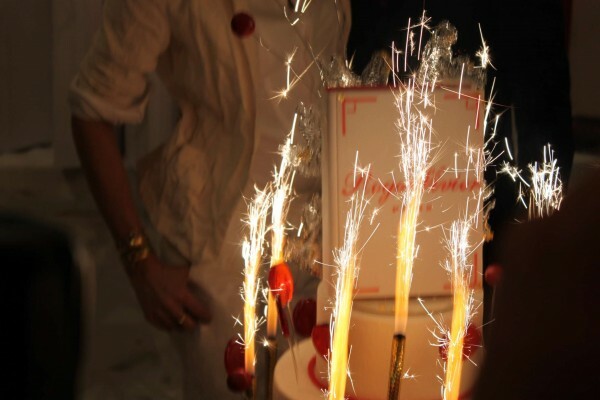 The celebration of her Diamond Jubilee will be going on throughout the year. Interesting to know is that Queen Victoria in 1897 was the only other monarch in the histories of the United Kingdom, Canada, Australia and a few other Commonealth realms to have celebrated a Diamond Jubilee. 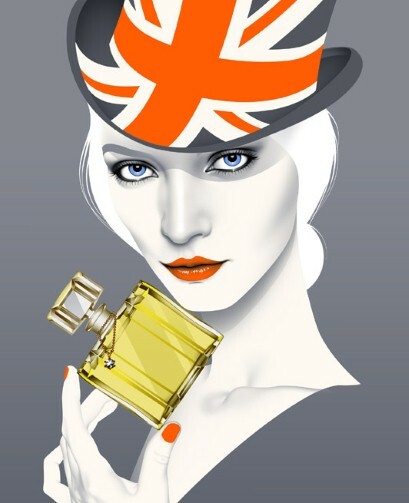 In honour of the Queen’s Diamond Jubilee, Harrods has created together with the famous perfume house Bond N°9 a limited edition fragrance, called Harrods Jubilee . The scent consists of amber, musk and sandalwood along with Lantana leave, dry leave and mace. It is available now from the store’s Perfumery Hall and retails at £290 for a 100ml bottle. In April 1926, Floris had released a pretty floral scent called Royal Arms to celebrate the birth of Princess Elizabeth earlier that month. It had notes of rose, violet and ylang ylang. To commemorate the Queen’s Diamond Jubilee, Floris, the only perfumer to hold a Royal Warrant from the Queen, slightly changed the original recipe but keeping the original floral character formed by essence of rose, the queen of flowers. Royal Arms Diamond Edition EdP is on sale at John Lewis at £99 for a 100ml bottle (and at florislondon.com). 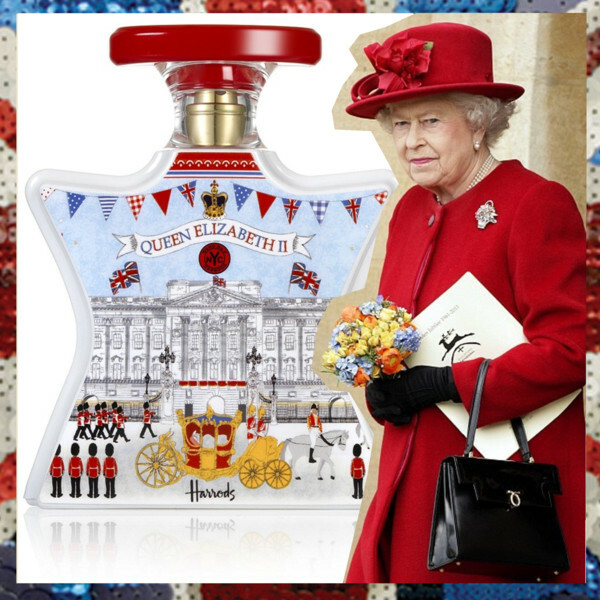 There is also a limited amount of Royal Arms Diamond Edition in perfume strength which will be decanted into only six antique crystal dressing-table bottles of which one will surely be given to Her Majesty. 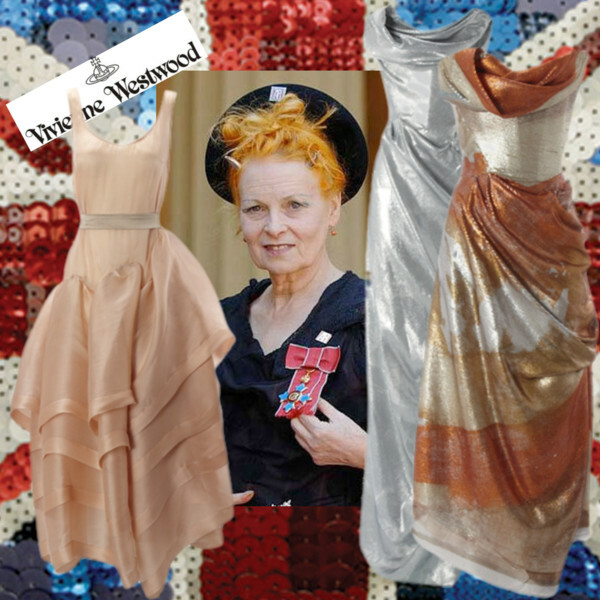 The most eccentric British fashion designers of all, Vivienne Westwood, pays tribute to Queen Elizabeth’s jubilee with an honorary collection featuring ready-to-wear and fashion jewelry that will be available in May in all Vivienne Westwood stores. The Red Carpet Capsule Collection stays true to the opulent Westwood archive and was inspired by outfits that the Queen has actually worn. 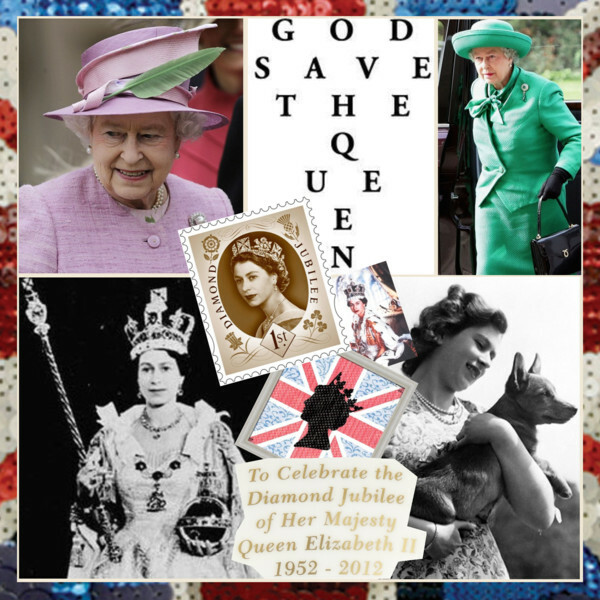 The patriotic designer’s logo is a royal ORB with a cross on top, bejewelled and impressive as befits the Queen of British fashion. Westwood became Dame Commander of the British Empire in the 2006 New Year’s Honours List “for services to fashion”. 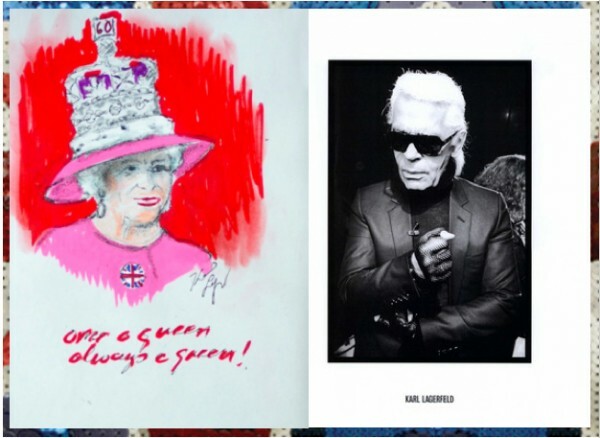 For this royal occasion, the “Kaiser” Karl Lagerfeld, himself will be offering live commentary of the official event on French television channel France 2 on June 3. He will surely enjoy his latest assignment as fashion commentator as he already did last year, when the Chanel helmet participated in a French live broadcast about the wedding of the Duke and Duchess of Cambridge, attracting five million viewers. 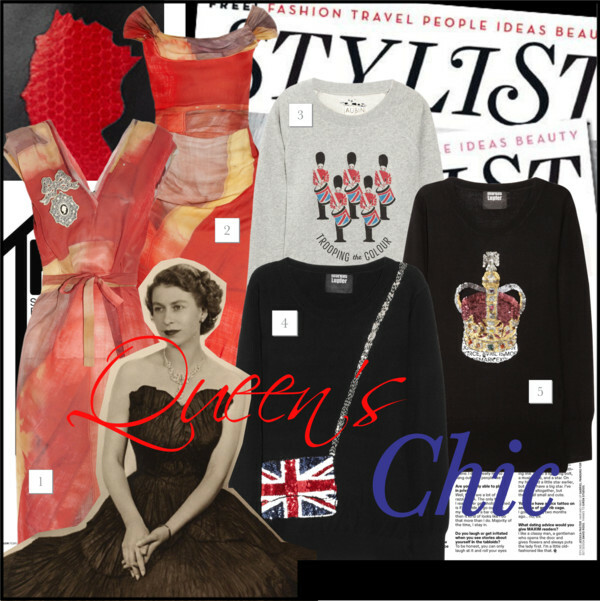 And there’s no doubt the Queenie is one seriously stylish muse. After 60 years on the throne the queen’s outfits on her thousands of visits and tours have proved she is a bastion of good taste and style. She loves tone on tone looks with blue being her favourite colour choice. I mean there has to be a reason that blue is called royal. 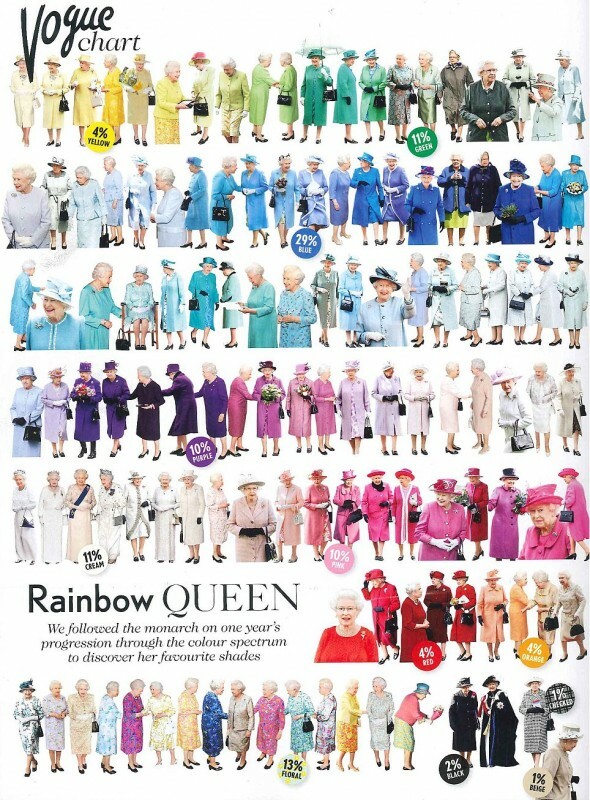 I know this fact thanks to a recent report featured in Vogue magazine for which editors have studied every outfit Her Majesty has worn in the last 12 months. A year ago, all eyes were on the royal wedding of Prince William and Kate Middleton. Congrats to the couple on their first wedding anniversary today!